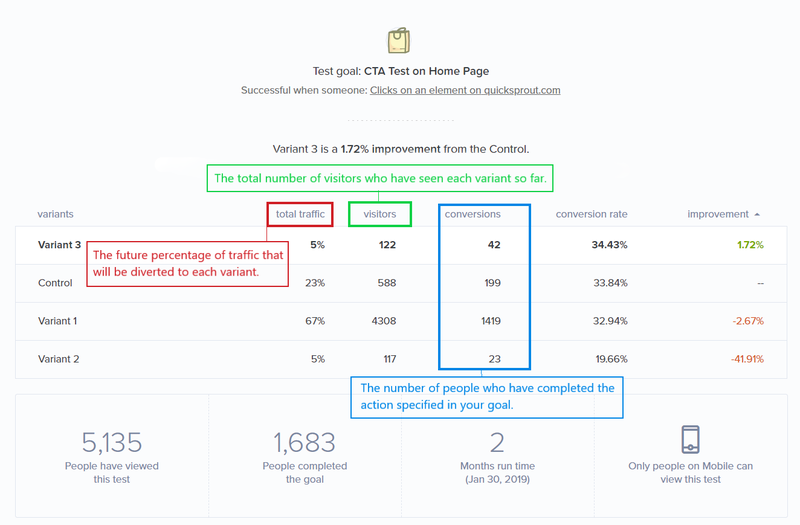 Once you've published your A/B test, go to the A/B Testing Dashboard and click View the Results to check the goals met and the performance of your ideas. Crazy Egg deploys multi-armed bandit algorithms, harnessing the power of machine-learning to optimize your site. This means that you can test as many variants as you want to. Your test will automatically adapt to show the best variant with the best conversion rate. Similar to traditional A/B testing, you can monitor the number of views and conversions that each variant gets. 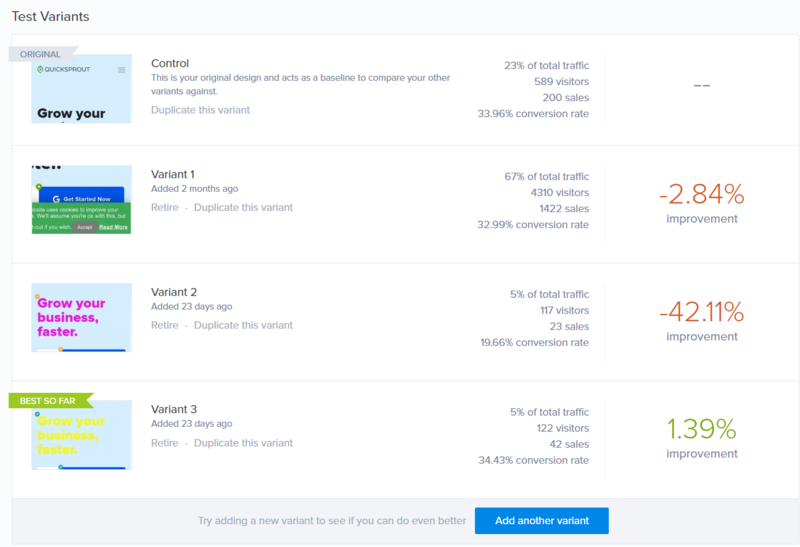 But, the main difference with multi-armed bandit testing is that if one variant gets a higher conversion rate than the other variants, it gets more traffic. The idea is that the variant with the highest conversion rate is the winning version and it's automatically shown most of the time. As the test runs, the system will reconsider other variants. You do not have to check on your results, but you can if you need to. As your test runs, add new variants to try out new ideas. Or, leave the test running along. Our machine learning algorithms will adaptively pick the optimal version to show your visitors.